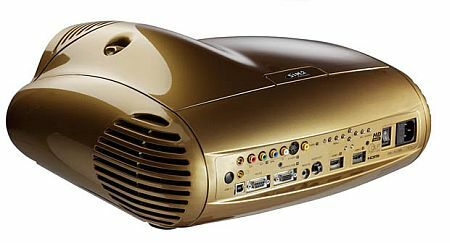 In 2007, at its initial release, the ultra-high-end SIM2 C3X1080 was a revolutionary home cinema projector. It was the most compact 3-chip DLP projector on the market. It delivered near perfect color performance. And it was one of the first Full HD 1920x1080p 3-chip home theater projectors available for consumers. In other words, the C3X was, and is, a projector for the most devoted cinephiles. (Francis Ford Coppola, for example, counts himself a SIM2 customer.) The reason is the C3X was equipped with top-of-the-line technology: SIM2’s AlphaPath Light engine, a Full HD DarkChip4 DLP chipset, and 10-bit video processing. It was the Rolls Royce of 3-chip DLP projectors, and provided some of the most precise images of any projector. Of course, the C3X was price matched those premium specs. It started around $35,000 USD. Although today the C3X is no longer in production, it remains a high-end machine, and it shares many similarities with SIM2’s current Grand Cinema LUMIS 20th Anniversary line-up. The C3X remains almost as much of a marvel today, as it did in 2007. Brightness. The C3X’s 250-watt lamp delivered 2,500 lumens of brightness. It was brilliantly bright for home theater, and it had five distinct lamp modes to match the room’s ambient light. Plus, as a 3-chip projector the C3X eliminated the rainbow effect and motion noise that are more common with single-chip projectors. Connections. The C3X was released nearly a decade ago, and as such, the projector’s connections are a little dated. But at the time, the range was on par with higher-end units. Connections included 2 HDMI 1.3 ports, USB 1.1, RS-232, composite video and PC connections, among others. The dual HDMI links were a rarity at the time. Available Lenses. The C3X and many of its Grand Cinema successors have three available lenses, which provide short-throw and long-throw functionality. These include the T1 (short-throw), T2 (long-throw standard) and the T3 (long-throw). The range of options made it easier to fit the projector to match space requirements. Image Processing. With 10-bit image processing, the C3X was capable of displaying up to 1 billion different colors. The color performance was impeccable, providing impressive shadow detail and deep, dark blacks. Plus, the projector was capable of delivering HiDef scaling, thanks to its PixelWorks DNX scaling engine. Lamp. The C3X was equipped with a 250-watt lamp, which had an average life of about 1,500 hours. With the projector’s five available lamp modes, though, lamp life could be extended considerably. Today, replacement lamps for the SIM2 C3X 1080 are in high demand, as early adopters look to update aging lamp systems. At about $230, replacement lamps for the C3X 1080 (Part No. Z930100703) are a bargain, considering the initial investment. Color Calibration. The C3X was equipped with TI’s 1080p DarkChip4 DLP chipset that provided a dizzying range of colors with absolute precision. To optimize the palate, the C3X was shipped with color management software that enabled operators and installers to precisely match the color to the theater environment. Design. With a sleek, Italian-inspired design, the C3X has the look of a futuristic sports car. It’s an impressive high-end build. Plus, it weighed just 24 pounds, which was, and still remains, on the low-end for 3-chip projectors. As you can see, the C3X1080 was a beast of a projector. It delivered ultra-precise images that were unmatchable in quality. Lately, the high-end 3-chip market has expanded with Barco and others dropping similarly priced machines. Yet, the C3X1080 set a precedent for what users demanded from $20,000+ projectors, and it’s a tradition that SIM2 carries on today in its Grand Cinema line-up.